Good morning, dear reader. 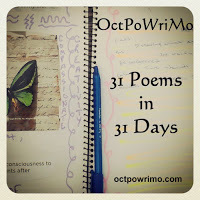 The prompt for day 29 of #OctPoWriMo is love and relationships. We were given a pretty broad field to play in, and I chose the one that comes naturally to me. My poem today is for my dear wife, my best friend. The line in this poem that is my favorite is 'If not for you, there is no me'. What is your favorite? The years are passing by. Sweet love indeed. Well done!! My favourite line is we forgive we forget. :)That's what actually makes life easy. Thanks, Payal! I agree...if we couldn't forgive and forget, our relationships would be so much more difficult and tumultuous. So incredibly beautiful! And the very theme about which I wrote today as well. How cool is that? Thanks Steph! Very cool that we picked the same theme! I'll be dropping by your site at some point today to read it. Thanks Jessica. I appreciate you always coming by to read my work. I love this whole poem, thanks for sharing! Thank you for reading, Fifi!! No..."Hand in hand" is my favourite. That's my dream - that Husby and I will be little old wrinklies, still holding hands, one day. My wife and I often talk about that day....it is a noble dream, and one I hope you achieve! Thanks Lizzi! Your love for your wife gives me hope for humanity. Thank you. Thank you so much, Morgan!! Favourite line. Love it Rod! Sweet and touching.